Being vegan can often mean having challenging conversations with people in our lives that we love. If you’re lucky, maybe your friends and family respect your decisions. Maybe some of the people in your life even admire your choices and ethics. Yet, maybe we also have those that may not agree with us, understand us, or even mock our vegan lifestyle. Sometimes it is easy to feel alone if the world around you is not supportive of your choices. It is also easy to feel like what you’re doing isn’t making a difference (well, let us tell you- IT IS!) We have found that pushing brutal statistics on people or justifying your choices until you are blue in the face, often falls upon deaf ears. What we have instead found to be effective is to BE the change you with to see in the world. Shine your light, post pictures of your drool-worthy vegan dessert, simply and proudly be the radiant healthy vegan that you are. Our perception of the world can be radically different depending on what we wish to focus on. It is easy to slip into a habit of focusing on the issues that are wrong with the world- the pain, the suffering, the chaos. Or, you can choose to look at all the people, businesses and organisations that are striving to create positive change in the world. There is no denying that veganism, or even a shift towards a healthier, conscious, plant-based lifestyle in general, is on the rise all around the world. People are becoming more and more open to alternative choices, and meat and dairy free options are springing up everywhere you turn. The Vegan Box is designed to celebrate a vegan lifestyle- to look at all the wonderful, ethical, environmentally friendly and positively delicious things that you can enjoy. 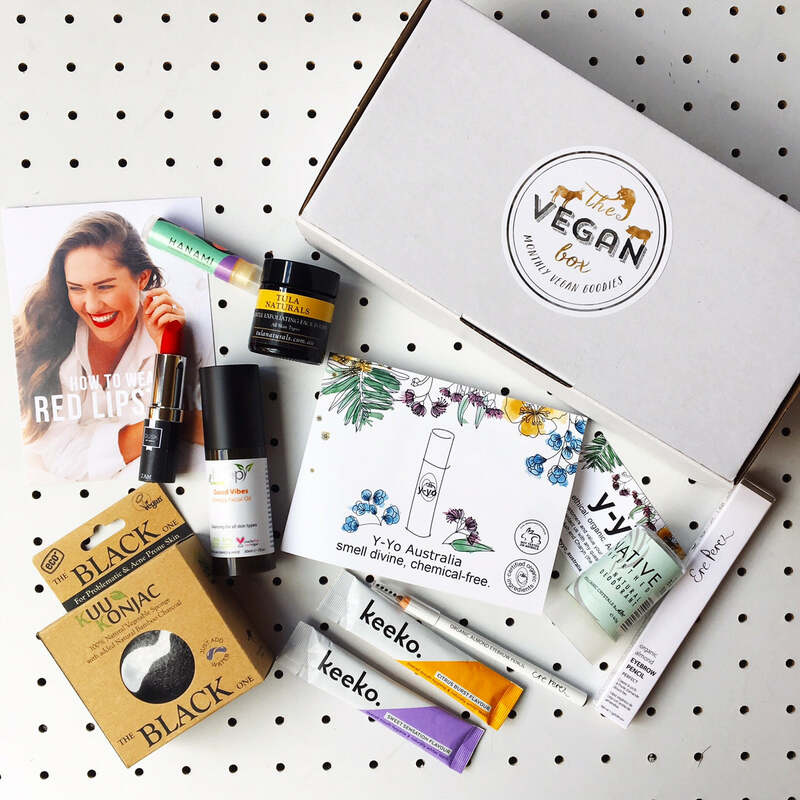 While many of our dedicated subscribers are indeed already vegan, our aim is for this box to reach everyone- so people from all walks of life can see how abundant and diverse a vegan lifestyle truly is. Do you know anyone who would pass up a creamy vegan marshmallow? Or a luscious body scrub? Or a dreamy hot chocolate? We sure don’t! A vegan lifestyle isn’t about deprivation. It isn’t about the things you cant enjoy, but about making positive choices and celebrating the alternatives. We love to showcase the products and companies that are making a difference. And we ask you to share them with the people you love also. Leading by example is the best way to inspire those around us. So, if you have a friend’s birthday coming up, if you have a family Christmas gathering scheduled for December, or if you just want to surprise someone you love, order them The Vegan Gift Box that will arrive right on their doorstep. This is one simple way you can spread the vegan message in a positive way that will always be well received! Choose from our Monthly Vegan Box or Vegan Beauty Box, sent as a once off gift or as a monthly subscription. We have different options to suit a range of budgets. Give a gift that will create positive change in the world- your gift has the power to change one person’s life, and potentially save many others in the process. Click HERE to order a Vegan Gift Box for yourself or a loved one today!